Prosperous Entrepreneur- Marketing and Success for Advisors: Are You Writing Your 2012 Business Plan? Are You Writing Your 2012 Business Plan? At this time of year, how can a business owner ensure that they are moving forward attaining their goals while striving to be in the best financial shape possible? By staying ahead of the curve and writing their 2012 Business Plan before 2011 is over! Writing a Business Plan each year has many benefits to the business owner. The main reason to write a Business Plan annually is that a business is not rigid. A business changes from year to year. By reviewing and re-writing your Business Plan you can discover what worked last year, what didn't work, and where you want to go next year. By writing your Business Plan before the year's end you can also LEARN ABOUT YOURSELF and your willingness to do specific tasks. For example, you may have procrastinated implementing certain marketing tactics because you really didn't want to do them. If so, you may need to examine why and make appropriate changes for the next year. You may also discover that you are NOT TAKING THE ACTIONS NEEDED to achieve your goals. For example, if you had a goal of asking for five referrals per week and you did not achieve that goal, you may need to examine ways to ask for referrals that are more natural and in tune with your personality. You may also learn that you THINK BIG. This is a lesson I learned by examining several of my previous years' Business Plans. 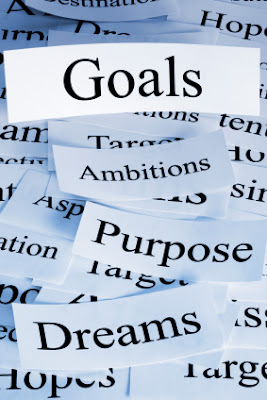 I discovered that I tend to create TONS OF GOALS, far too many for one person to work on and achieve. For example, my personal goals listed several international trips, several professional development goals, and far too many new information products to develop. There's only so much time in a year. The key is to decide what is most important to you and make a reasonable yet motivating goal to achieve that one thing. Direction: Imagine getting in your car and driving to an unfamiliar location without use of a GPS or mapquest? There is not much likelihood that you would get to your destination. The same analogy applies to revenue goals. When I talk to prospects and they say they want to do "X" in production next year and I ask how they will do it, very often they don't have an answer. Writing your Business Plan before the end of the year will help you sort out how you are going to get new clients and how many you'll need. Motivation: In writing your Business Plan you will create a 5 year vision of where you want to be as you attain more and more success. This is both motivating and comforting. A vision is motivating if you are a big believer in what you think about you bring about. Creating this vision will lead your subconscious mind in the right direction – a path to financial success. In your vision you will create your income in 5 years, your work schedule as if you were leading a balanced life, your team members. A vision is comforting because you can convince yourself that life won't always be the way it is now. If you're too busy, with too many conflicting roles and responsibilities, you can have comfort knowing that as long as you work ON your business you can attain the life you want. Results: A written Business Plan helps the business owner stay focused on results. Meandering from here to there with no focus or direction is NOT what you want in your life. Having a living document that you can pull out and review quarterly helps the business owner remember what they want and the actions they need to take to get it. Don't say your Business Plan is in your head because it's not. Put thoughts to paper, review your goals and actions, and you will see results. Aside from the obvious, writing a Business Plan keeps you on your toes and keeps you honest. When you say I am going to increase my revenue 30% and this is how I'm going to do it, you will be more likely to DO IT. So write your 2012 Business Plan before the end of the year and see your business boom!